Start by viewing our latest brochure – you can do this right here where you’ll find all of the essential info on our products, including dimensions. Make a shortlist of sanitaryware and bathroom furniture you like the look of, then find your nearest Laura Ashley Bathroom Collection showroom, using our stockist page. At our stockists’ showrooms, you’ll find experts on hand to help make the most of your space and suggest alternative layouts. Go armed with measurements, photos and a plan that shows where essentials like your soil pipe are located. A small bathroom needs to work hard when it comes to storage – our basin units have ample storage space and start at 600mm wide. With two soft close doors and a single internal shelf, the Marlborough 600mm freestanding unit and basin will allow you to store all your toiletries. Another design trick to try is to go for wall-hung furniture, basin and WC, as this will help to keep the floor clear and help to create the illusion of more space. Our modern Monograph basin unit comes with or without legs and plenty of essential storage space, while our Bayswater WC has a wall-hung option that’s both sleek and stylish. 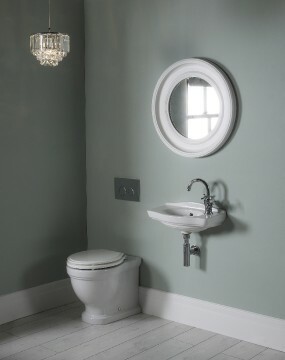 Team it with the matching Bayswater 560mm basin with semi pedestal – it has an oval-shaped bowl and handy back-to-wall ledge for soap and toothbrushes. Perfect for cloakrooms, en suites and space-challenged bathrooms is the small but perfectly formed wall-mounted 500mm basin from our Pavilion range. Thanks to its easy styling, you can team it with a traditional or modern-style tap. 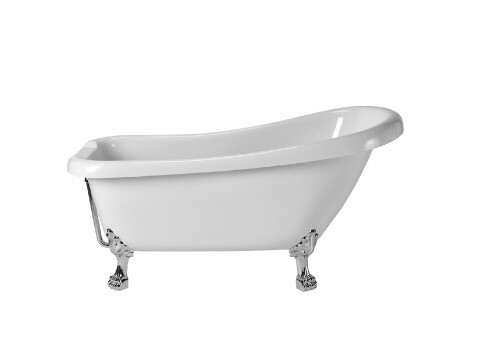 If you’ve got your heart set on a freestanding bath, then our Claremont and Fairfield baths come in a compact 1500mm length giving you the drama and luxury of a freestanding bath. Or if you’ve decided to ditch the bath in favour of a dreamy walk-in shower, then check out our York and Clifton shower systems. Don’t forget a mirror to reflect light back into the space (see our selection here) or why not cover a large area with sheet mirror cut to size by a local glazier? Keep window treatments simple to avoid too much pattern in a small space – a fuss-free roller blind works well every time. See the collection of Express made-to-measure designs here. When it comes to paint and tiles for your new bathroom, keeping to pale colours is another top tip, as they will make the most of available light. But if you have plenty of natural daylight or ample spotlights, then a dark colour for tiles and paint can make a small space feel very dramatic, which in turn detracts from its size. 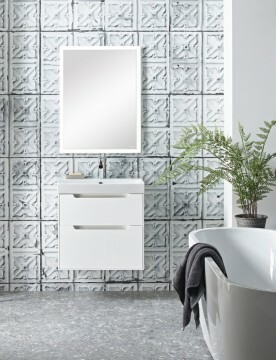 Check out Laura Ashley Pale Charcoal matt emulsion, or Laura Ashley Artisan Charcoal wall tiles. While at first a small bathroom might seem a challenge, with the right product and Laura Ashley Bathroom Collection retailer knowledge, you’ll soon get the space (albeit small) of your dreams. 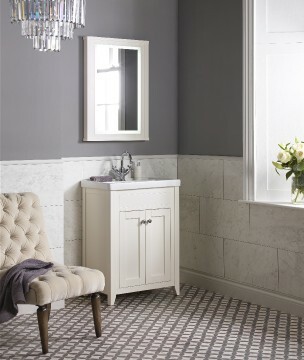 Visit our website, Facebook and Twitter pages for more bathroom inspiration and click here find your nearest Laura Ashley Bathroom Collection retailer, who can help you create your dream bathroom.